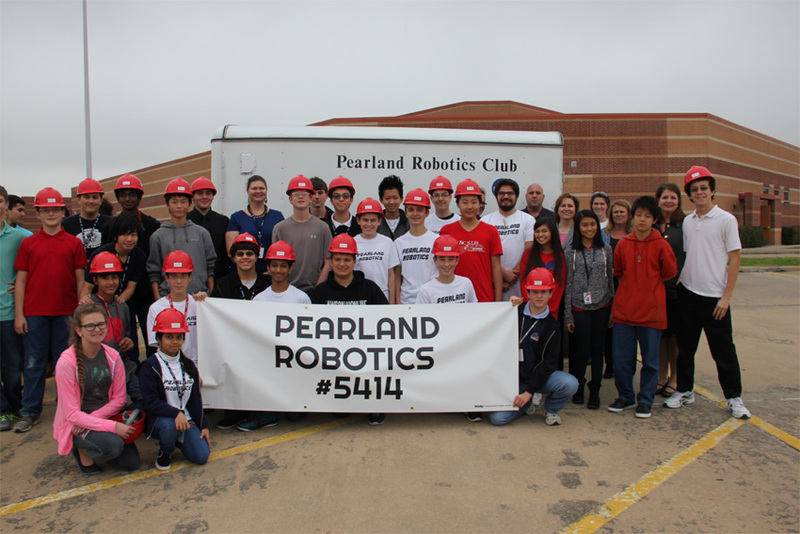 United Safety is proud to announce the sponsorship of the FIRST Pearland Robotics Team, Team Pearadox. FIRST (For Inspiration and Recognition of Science and Technology) aims at inspiring young people to be science and technology leaders, through an exciting mentor-based program that fosters science, engineering and technology skills, and nurtures self-confidence, communication and leadership. The teams are challenged through a competition to build robots inside a six week period. This year’s competition is Recycle Rush where robots will work on three robot teams to stack totes and collect noodles. Teams compete individually and collectively in alliances. FIRST focuses not only on the technical skills, but also on business acumen. Teams must raise funds, design a team “brand,” build and present a business plan and develop partnerships during competitions in order to succeed. The program provides a glimpse of real-life work skills as well as technical skills such as engineering required to be successful. FIRST’s goal to promote innovation and creative thinking is the perfect link to United Safety’s values, and the decision to partner up with the team was an easy one to make. United Safety’s Lee Whittaker (CEO), Timothy Wallace (EVP Western Hemisphere), and Yulonde Trahan (VP Human Resources) recently joined the group in a ceremony to present them with the donation, a new trailer and safety materials the students can use while working, such as safety hats and glasses. 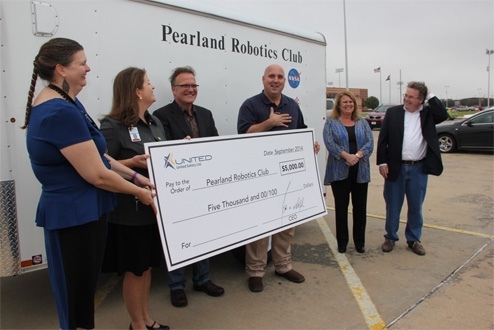 The United Safety group spent the day with the students getting to know a bit more about their robot and the business plan put together for many of the grants they were awarded from NASA and The Texas Workforce Commission. 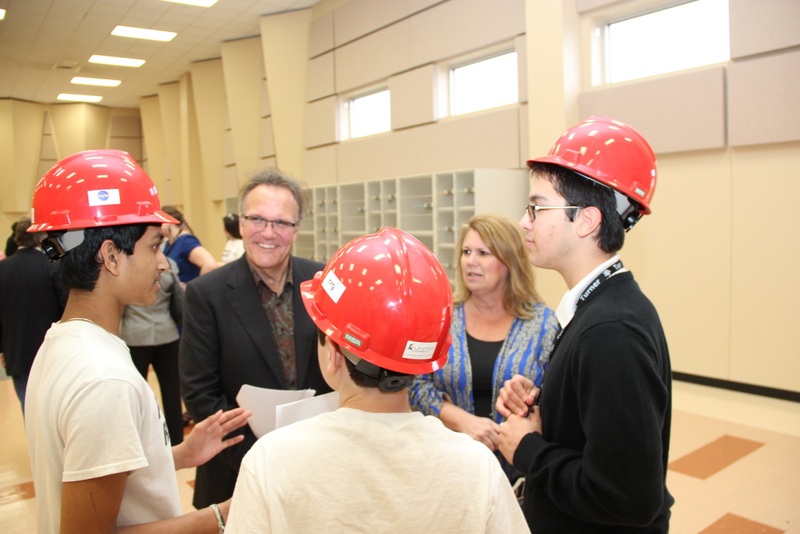 While at the event, several of the students explained to Lee the detail which goes into the design, programming and business plan which impressed the United Safety team. “This is the kind of employee United Safety could use. These development opportunities are vital for the students to be successful in life” mentions Mr. Whittaker. Thirty of the students already took the safety test to get ready for this year’s competition. United Safety expects some exciting updates from the team as the competition kicks off in March and April, and hopefully we will see Team Pearadox in the World Championships in St. Louis this spring. To learn more about Team Pearadox follow them on Twitter (@FRC5414) or on Facebook (faceboook.com/frc5414). To learn more about the FIRST competition and program, check out their website www.usfirst.org.